It was now December, near Christmas. 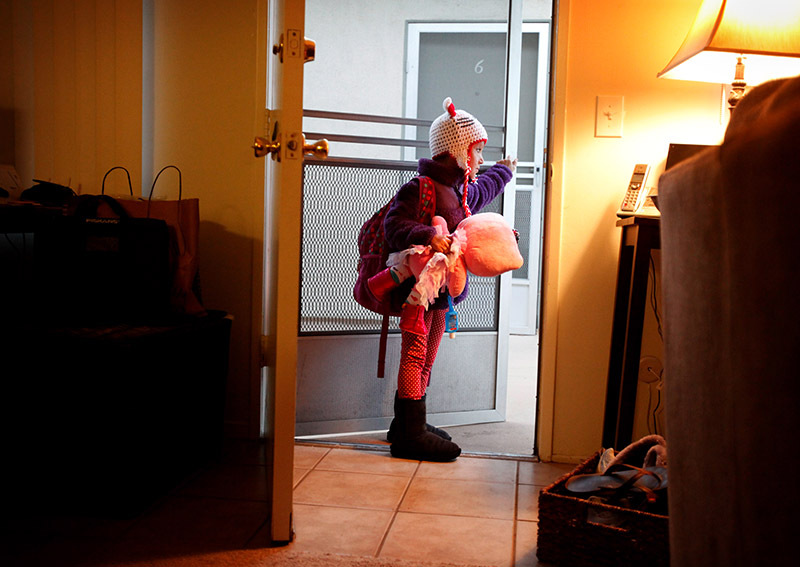 The sun was rising and inside the apartment Arefa's bags were stacked near the front door. She had a plane to catch. Her father was to meet her in Kabul. Arefa wore red and black polka dot pants, a white shirt, a white Hello Kitty cap, and held tightly her cherished hello kitty stuffed animal. "I love you so much, little girl," Jami said. "More than the trees?" Arefa said. "All the trees." "More than ice cream?" "Yes, all of it." For a few seconds, no one spoke. "Big sad, big sad," Arefa said, looking into Jami's eyes. "Big sad," Jami said. Both of them cried. Once she was gone, the sisters knew they might never hear from Arefa again.